I have to admit this one breaks my heart a little bit because I've had the biggest crush on Don for sometime now. I'm proud of him for accepting his truth and living life on his terms, but I'll be lying if I didn't say on the inside I'm still screaming, "Damn, damn, damn..."
So why do it? It really came down to the act of writing the book. Mr. 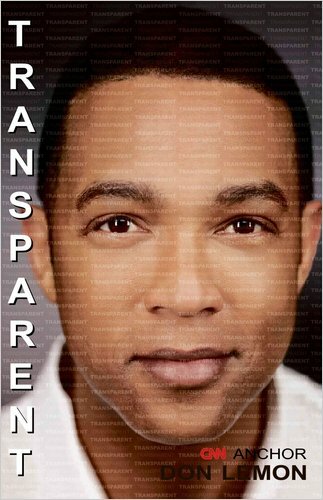 Lemon said he had been on a panel a couple of years ago called "The Black Man in the Age of Obama," and was approached afterward by a publisher's representative about writing an inspirational book. "It was supposed to be a little pamphlet," he said. "You know: say your prayers; have a good, hearty handshake; say good morning to your boss." "It's quite different for an African-American male," he said. "It's about the worst thing you can be in black culture. You're taught you have to be a man; you have to be masculine. In the black community they think you can pray the gay away." He said he believed the negative reaction to male homosexuality had to do with the history of discrimination that still affects many black Americans, as well as the attitudes of some black women. "You're afraid that black women will say the same things they do about how black men should be dating black women." He added, "I guess this makes me a double minority now." "I think it would be great if everybody could be out," he said. "But it's such a personal choice. People have to do it at their own speed. I respect that. I do have to say that the more people who come out, the better it is for everyone, certainly for the Tyler Clementis of the world." "I think if I had seen more people like me who are out and proud, it wouldn't have taken me 45 years to say it," Mr. Lemon said, "to walk in the truth." Black men are an endangered species; because of history, their women have had to take on the roles of breadwinner and "father" to the kids. So they are very insecure about themselves and their masculinity. No wonder a gay man in that community would provoke an outrage. To quote the Boondocks: "you kiddin? Im white. Hahaha..."